The beauty and elegance of traditional design is a feast for the eyes especially in the dining room. In a Ringwood home in Northern New Jersey, this charming design has touches of personality while still staying true to this classic style. A wooden table with rounded edges paired with wood framed dining chairs with contrasting cream colored seat cushions and curved backrests is the focus of this dining room. 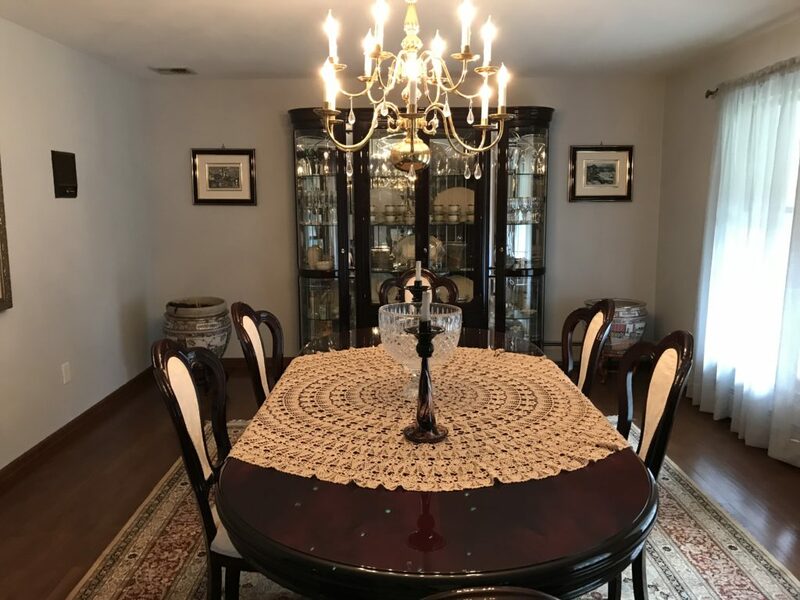 Atop the dining table is a beige fabric folly with a crystal bowl as the center piece while two wooden candle holders stand on each side. Above a gold plated chandelier adorned with small hanging crystals perfectly aligns with the crystal bowl. The intricate, oriental rug is placed below it, with cream, beige and browns throughout the design. 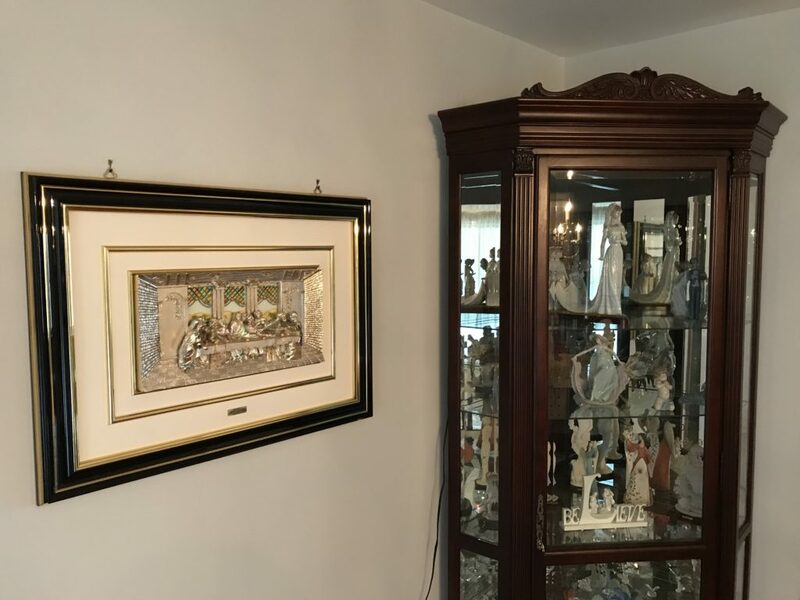 The two display cases showcase different family heirlooms and decor items one that holds sculptures, vases and figurines, the other holds ivory white china with gold trim. 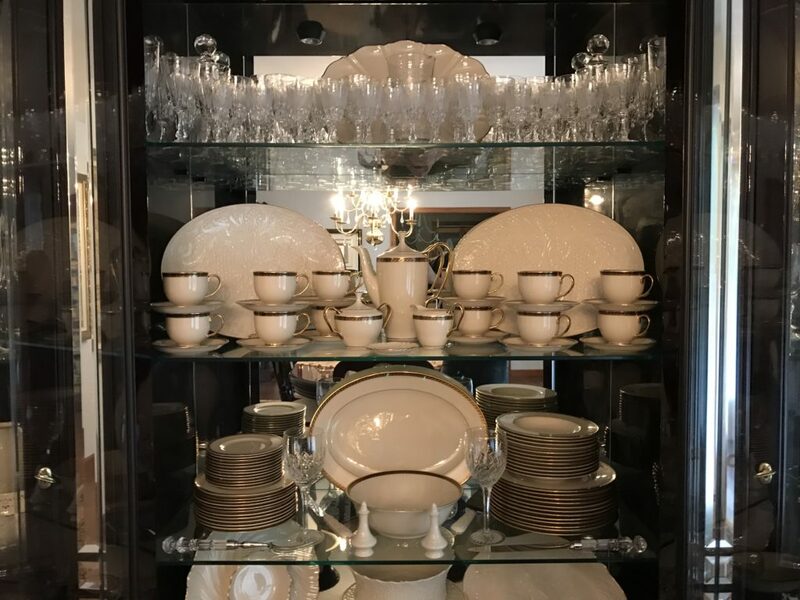 The display cases wood finishes perfectly match the dining table and dining chairs. The beauty of this design is in both the symmetry and the personal objects found in the display cases. 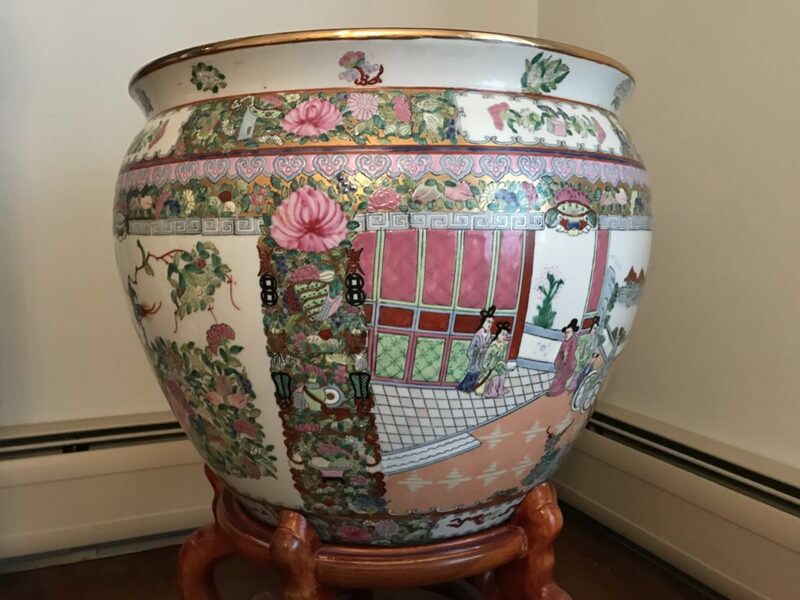 On both sides of the main display case, two large asian inspired vases are placed on each sides – adding to the symmetry and personal touch. 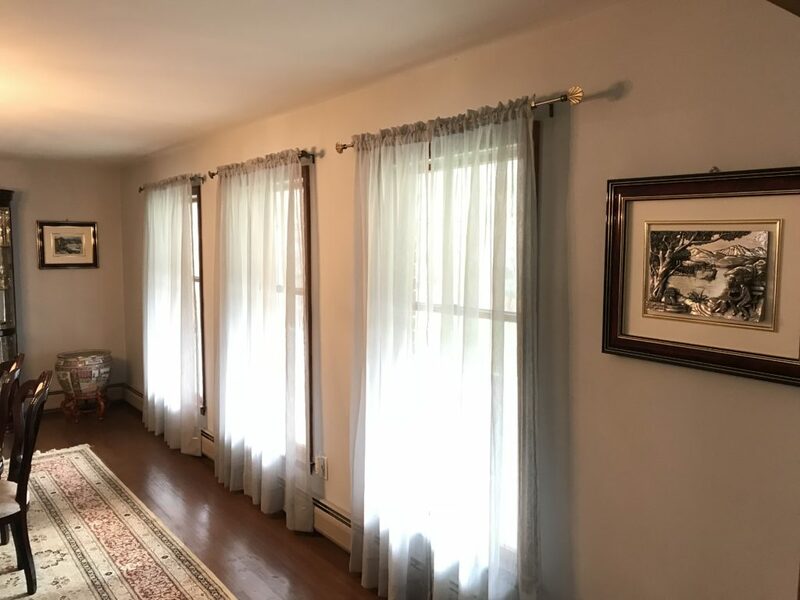 The windows are draped with long, sheer curtains in a very light bluish gray color, matching the paint on the walls with metallic curtain rods with a lovely seashell design on both ends. Each piece of wall art is framed in either a dark wood frame or a metallic frame – again adding a touch of contrast while still complementing the entirely of the design. This classic dining room is well-organized and balanced while still being cozy, warm and welcoming.